Gehl Architects’ vision is to create better cities for people. Our approach to design extends beyond the use of sustainable materials and the advocating walking, cycling, and alternative transport – we work to promote a holistic sustainable lifestyle, and thereby to improve people’s quality of life. We believe there is more to cycling than cycling. 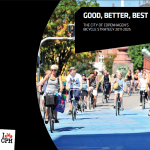 In short, a bike-able city is a good city for people. 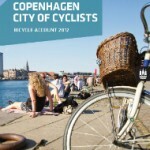 © 2014 Cycling Embassy of Denmark. Theme by Celis Consult.